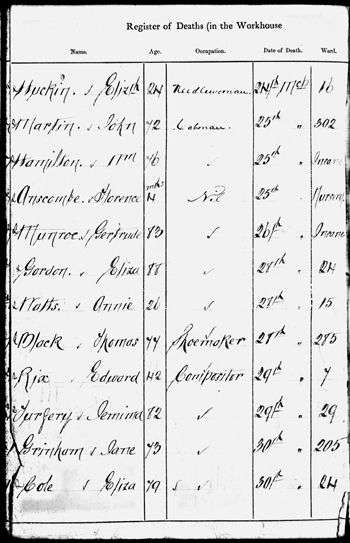 Eliza Cole had remained living in the St Pancras area and by the 1881 census was staying in the St Pancras workhouse. An extract from the census below shows Eliza Cole W (widow) aged 80. Nil occupation and being born in Folkestone Kent.Her situation didn't improve and she died aged 79 of senile decay in the workhouse. Age discrepancies were common on many documents.